Tuesday was a lazy day, they popped into their solicitors to make some adjustments on the legal front and they picked up a mat for the hall made from an off cut from the hall carpet. They also got a new letter box draught excluder which they then fitted. Wednesday saw Gates and Worth seeing the Palliative Consultant. It was frank and it was informative, compassionate and understanding. It summed up their railway journey as they fight the Big C. Now there are no more tracks to be laid and no real stations to stop at. Time to put as much quality into the quantity of life they have left. Thursday will see a further consultation to see if they continue with the chemo. So time to add a little quality their lives. Worth and Gates left St Richard’s Hospice and went into Worcester. First stop was lunch at The Thai Gallery in Worcester, where they shared sweet and sour chicken and beef and cashew nuts. It was delicious and while Worth only had small portions, between them they cleared the plates. 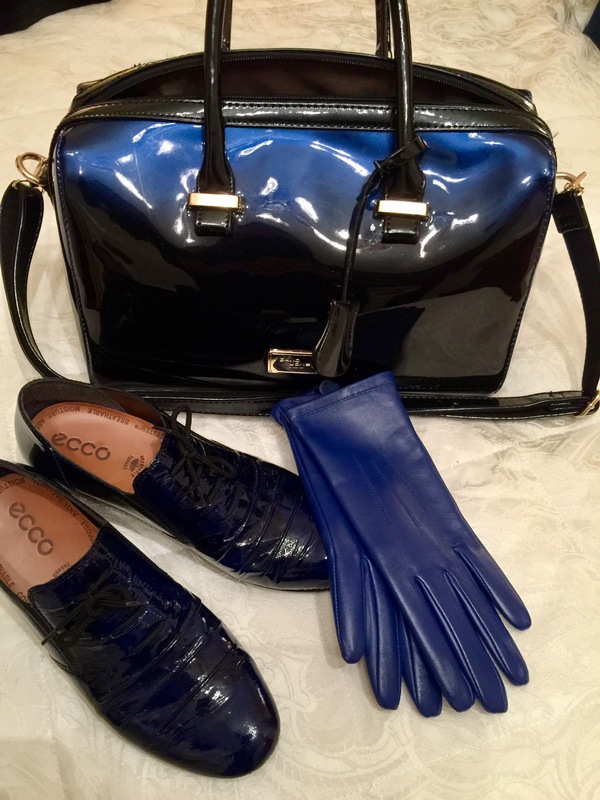 From there they had a shopping mooch where Gates finished off her blue accessories with the blue leather gloves above courtesy of M & S.
A tele evening ended their day. Groovy Words for these days, “rumpled” and “bamboozle”.